This episode is being published on December 31, 2018. The last day of the year, and tomorrow rings in a New Year, 2019. And maybe when you are reading this it is already 2019 — so wishing all you Big Dreamers a Happy New Year. 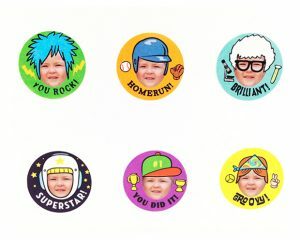 Now if you are like Eva (and all members of our family!) — you want to make 2019 your best year ever. And we’ve got good news for you. 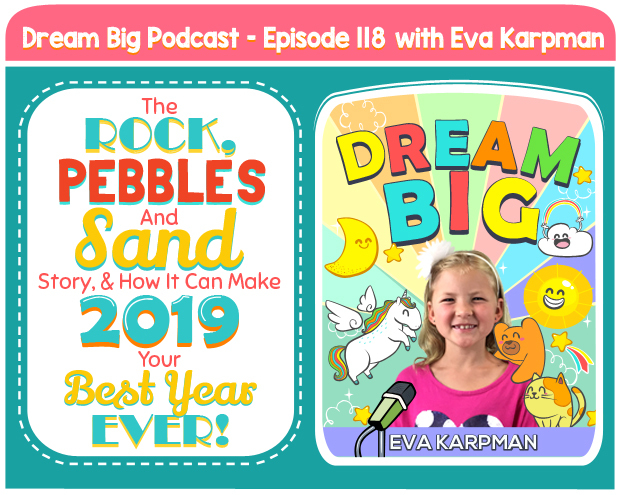 Today Eva shares the secret on how to make 2019 your best, and all you need to be able to do in distinguish between Rocks, Pebbles and Sand. Rocks Pebbles and Sand? 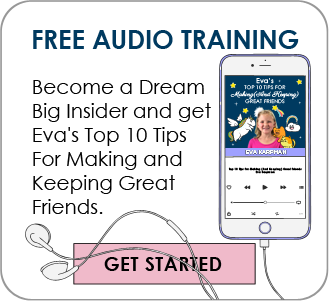 Yes, Rocks, Pebbles and Sand — and you can listen to this episode to hear this terrific story and powerful lesson.